One of the many uses for the iPad in modern healthcare is patient education. There are a range of apps that fit this bill including the Draw MD series amongst others. The latest offering is 3D Consultation developed by 3D Practice, the parent company of which (Commvantage) is engaged in creating high quality chiropractic patient education and image management software products for the healthcare industry. 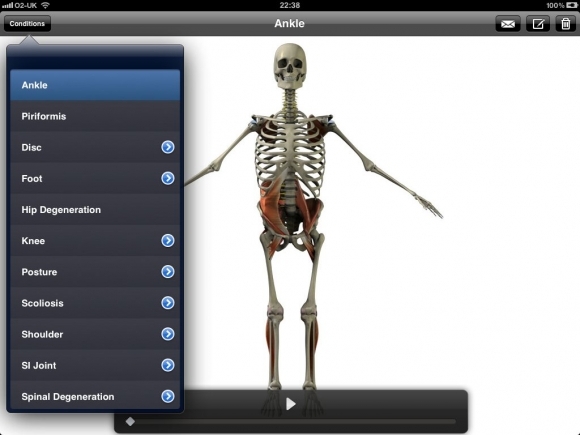 CommVantage have recently released 3D Consultation for the iPad, which is a powerful patient education tool. 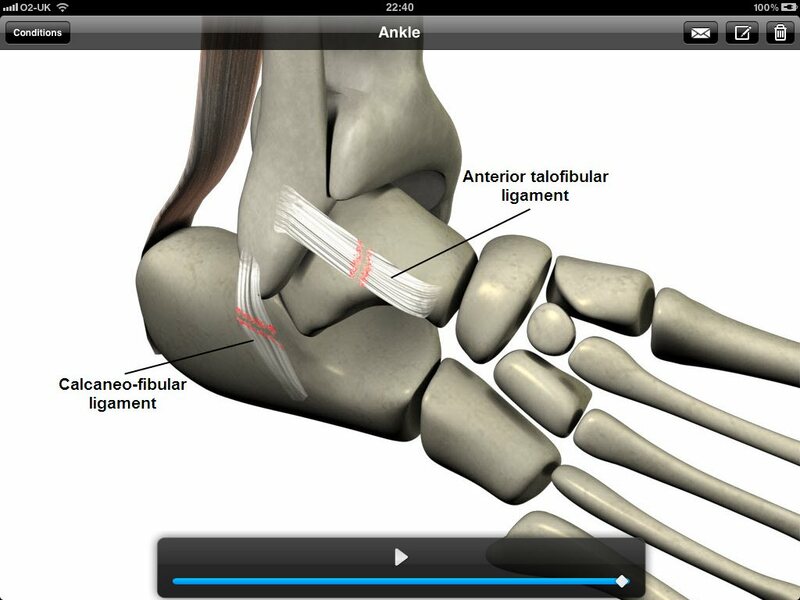 Specifically designed for use with Multi-touch screens, 3D consultation allows doctors and health professionals to help explain complex chiropractic/orthopaedic pathology to their patients, using high quality 3D animations. When you open 3D consultation for the first time you may find yourself a little awash. With no introduction or menu screen that many of us will be accustomed to, you are presented with the first animation that the app provides. You can access the animations by pressing on the conditions button in the top left, which gives you a drop down menu of the list above. Once you have selected an animation you can press the play arrow at the bottom of the screen to start the animation or alternatively swipe from left to right. This can be paused at any time, sped up or rewound using the slider bar at the bottom. Which responds in real time, meaning it genuinely can be used at the bedside quickly. The organization of the conditions tab could be better; perhaps using the subheadings provided on iTunes would make it slightly quicker to navigate to the appropriate animation. I have on occasion found myself having to start the animation to quickly determine the condition being covered; an animation simply labeled Ankle is a prime example of this. A simple oversight like this may result in the user fumbling through animations to find the right one, not something you want to be doing at the bedside. At any stage of the animation it is possible to pause and add annotations on the image. Obviously this drawing feature is a key selling point to the app, and for simple scribbles it does its job fairly well. 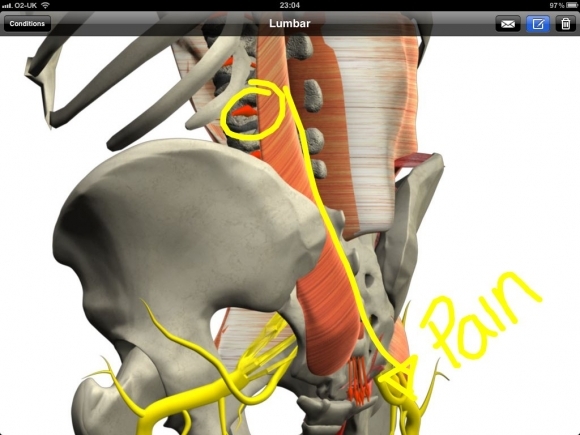 Once you have annotated your diagram it’s possible to press the envelope in the corner, which will take a screen shot of the paused animation, including annotations, and open it in mail, allowing you to forward this to the patient. A very useful feature as this is likely to trump any hand drawn scribble that can ultimately get lost. However to really replace a piece of paper the drawing mode needs improvement, it is slightly too thick to get any sort of detail on the diagram and I have found it to be quite temperamental, randomly deleting my drawings for no obvious reason. It’s possible to draw lines, circles and arrows without many problems, but it is near impossible to write text without multiple attempts. This can be incredibly frustrating, and for many will be deemed simply unacceptable in an app this price. CommVantage also offer a Virtual consultation chiropractic software package, which shares a similar look, content and basic features. The 3D Consultation app shares many similarities with Virtual consultation, but there are many features missing from the iPad version. Further updates to bring the feature set of 3D Consultation in line with this would be welcomed. 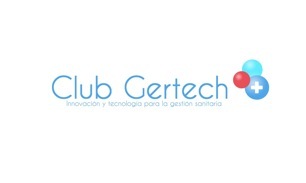 In conclusion this app offers high quality animations which may improve the doctor patient relationship, by helping patients better understand their conditions. However there are still a number of flaws and improvements that need implementing before this app can be widely recommended.